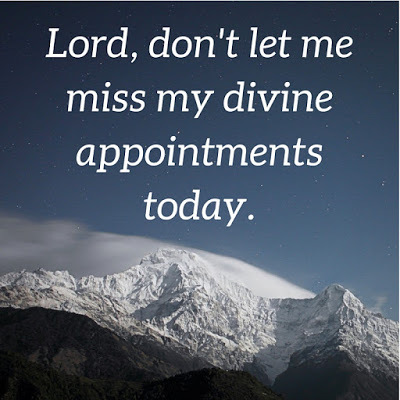 These words remind me that there are divine appointments in every day, whether I wait for a slow cashier when I’m in a hurry to get through the checkout line or one of my children has to miss school because she’s sick or I see my neighbor waving at me from her front porch. On our way home from visiting family over the Christmas break, we made a stop for gas and to get everyone a blizzard at Dairy Queen. As the girls and I waited to place our order in a rather slow line, an older gentlemen came up and started talking to us. I discovered that he previously lived in the same part of Virginia where my parents grew up, so we had a nice conversation until it was finally my turn to order. When I turned back around after paying, he had gone to the convenience-store side of the shop. I knew I had a tract with the plan of salvation in my purse, and I felt impressed to give it to him. He was getting ready to leave the store, so I quickly told him how I’d enjoyed talking with him and shared briefly about the tract. He was kind and took it, then went on his way. 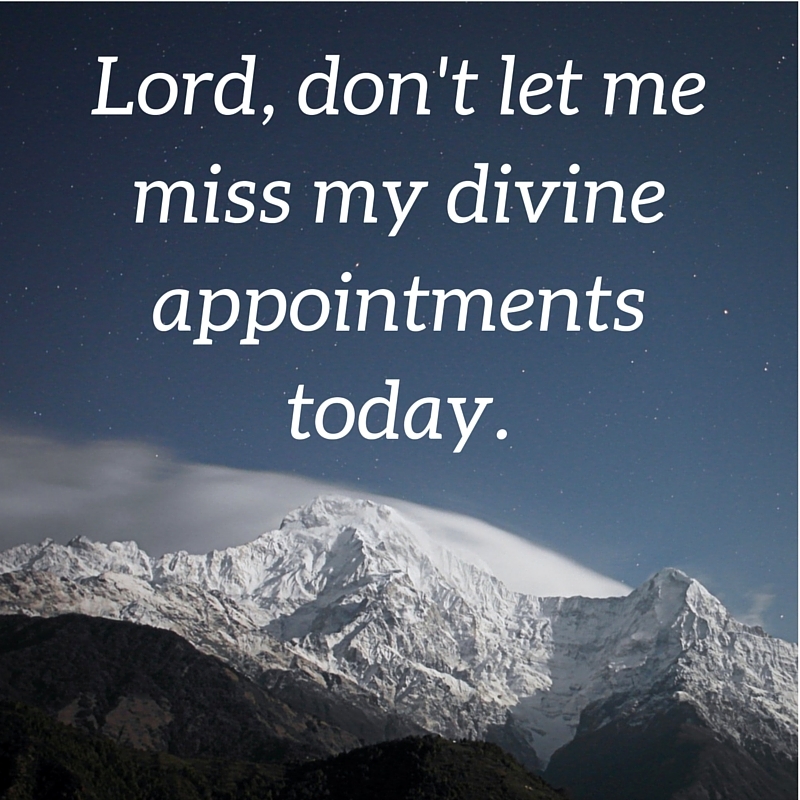 In my mind, that was a divine appointment. Meeting a man with his exact history at that location and at that particular time was, I believe, arranged by God. I have no idea if he read that tract – or even exactly what his spiritual condition was – but I pray that I fulfilled the assignment God had for me that day. Also, as a mom, I want to look for the chance to point out God’s hand at work to our children, to grab hold of any teachable moments, so they can learn to look for their own divine appointments. Whatever God brings across my path today, may I look for His hand in it. If it’s a trial, I know that He is in control and can give me the strength to persevere. If circumstances lead me to someone who’s hurting, He can give me the words to comfort them. He is always present and at work, if I will have my heart in tune with His so that I don’t miss what God might have for me in the moment. I've heard that still, quiet voice a few times, telling me to talk to someone, and too often, I don't do it because I'm too shy, embarrassed or whatever. I'm going to try to follow your example because I know it's what the Lord wants me to do. Sadly, there have been many times when I haven't done what I felt the Holy Spirit was impressing on my heart to do, usually for the same reasons you mention. When I do follow through, I'm always so blessed and excited that I actually (with the Lord's help) followed through!! I love this! After our pastor preached on being faithful stewards of "unplanned interruptions," I started trying to be aware of UFO's: Unexpected Faithfulness Opportunities. (I need a mnemonic or acronym for everything since I passed along all my best brain cells to my daughters.) "Whatever God brings across my path today, may I look for His hand in it." YES! Thank you for this, Tracey! That's a great example of keeping your appointments – and how wonderful that God is using you in this way in these women's lives!! Thanks for sharing this!